Newly Purchased and Fully renovated for a new owner, Deer Creek Golf Club is a private 18 regulation holes golf course designed by Robert Renault and built in 1990. 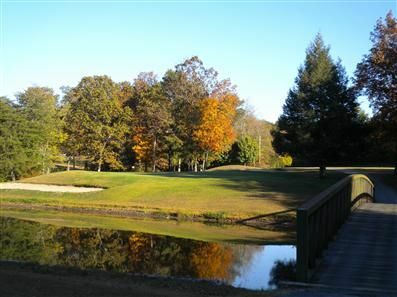 The course is surrounded by a subdivision of single family homes and is built around a private lake named Lake Genesis and has scenic views of Cumberland county. The course is not very long but is extremely fun to play and was designed for all levels of players. It has rolling hills with quick, undulating bent greens surrounded by tall oaks and pines. The layout features fifty-five strategically placed sand bunkers and five holes have lakes or streams to avoid. The par 3's require very accurate tee shots. A hole to remember is #4, a 494-yard, par 5, featuring an uncompromising dogleg left bluegrass fairway as one nears the green and requires an approach shot over the lake to the green. This course is a favorite of both the young and seniors alike and has a year round golf season.